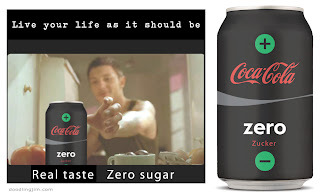 My Battery idea for Coca-Cola's new Zero Sugar Can. Specifically had to be black colour and orientated at the male consumer in soft drinks market. 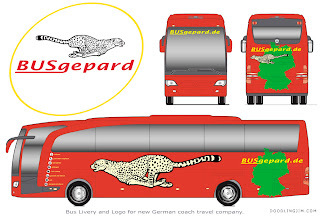 Livery, Logo and a Name was needed for a new coach travel company in Germany. 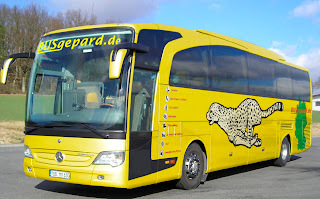 I chose the name: ''Bus Gepard'' Took the precaution to insure first that the web domain was available before designing. 'Gepard' is the German for Cheetah. I couldn't decide if red or yellow might be better, anyway more about this at my DoodlingJim.com in the Corporate section. Hi jim, thats all very nice ilo's u do. you must be stuffed with orders!!? Thanks rodderz. Yes and no stuffed with orders, but always room for the big one.